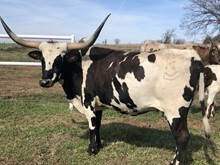 Our herd consists of hand-picked animals from some of the most reputable breeders in the industry. 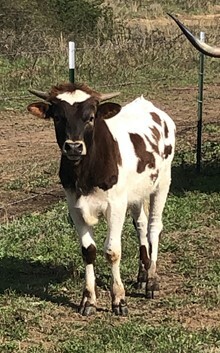 Every cow was purchased with a specific purpose in mind. 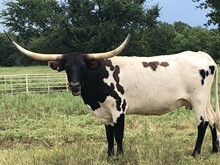 Genetic lineages were studied and scrutinized prior to purchase and each cow must be thought to cross well with our bulls or add desirable traits to the herd. 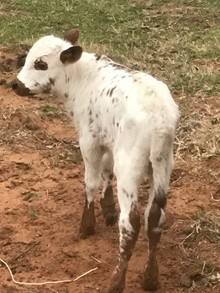 Our goal as breeders is to produce the total package animal. 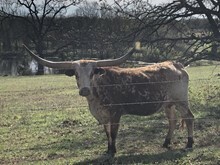 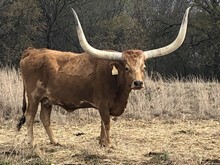 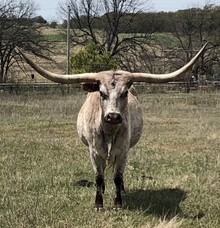 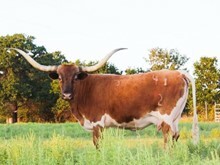 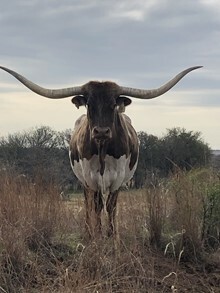 In the longhorn industry, there is significant emphasis placed on tip to tip (TTT) measurements. 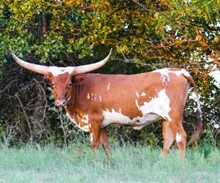 We believe that TTT is important however there are many other traits that we are breeding to achieve. 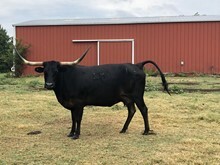 Body size and conformation is key to our breeding program. 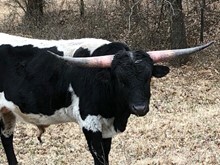 The old saying “you can’t eat horn” remains true to this day. 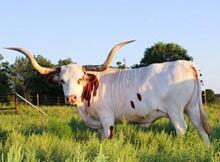 We use large heavy weight bulls with superior genetics to add size and beef production to the herd. 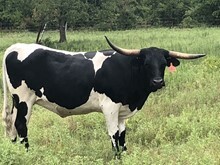 Our mother cows are heavy boned stout animals. 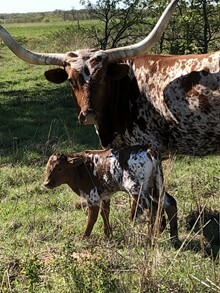 Mothering instinct and milking ability is also very important to us. 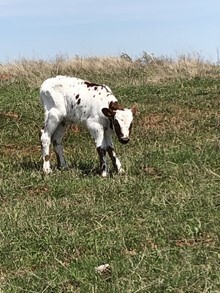 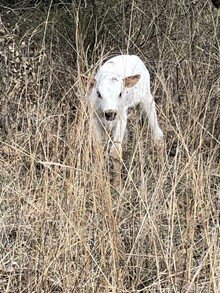 You can have the most beautiful calf ever produced but if the mother can’t supply milk or rejects the calf then you are in trouble. 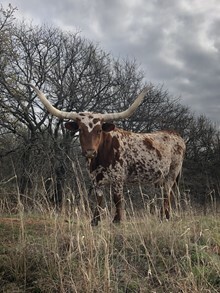 Longhorns have the potential to have beautiful color. 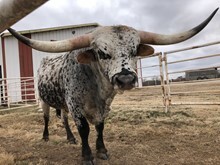 We love roan, speckled, and grulla color patterns. 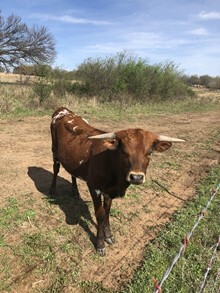 Many of our cattle carry a wild type gene that when expressed colors the animal in a wide array of colors. 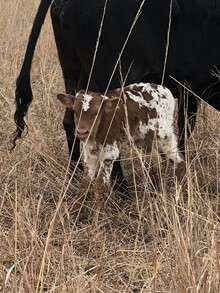 Achieving a mix of genetic superiority, body conformation, mothering ability, and color is paramount in our breeding program.